Pizza Hut is the largest pizza company in the world. You have to travel a long way to find someone who hasn’t heard of this global brand, and you’ll be hard pressed to find anyone in the United States who hasn’t eaten at one of their many restaurants. So what makes this brand so special? Well, for one thing, they are one of the oldest pizza chains around. They have more experience in this industry than many of their competitors. They know what their customers want and they know how to provide it. Pizza Hut also has an extensive and affordable menu, as well as a huge number of locations. And, of course, it helps that everyone, whether they are in the US, the UK, China or Russia, is fanatical about pizza. In 1958, Dan and Frank Carney, two brothers looking to make their way in the world, were gifted an opportunity. A local real estate agent claimed to have the perfect restaurant business for them, and all they needed to do was to rent a property from him in order to get it off the ground. The property was located in the boys’ home town of Wichita, Kansas, which is also where the first White Castle restaurant had opened some 3 decades before. The idea was to create a pizza restaurant that catered for students and locals alike. The boys jumped at the chance. Neither of them had any prior experience. Neither of them knew anything about pizza. And they needed to borrow money from their mother. Still, what could possibly go wrong? It sounds like the beginning of a scam. The agent had an unrented building and he seemingly concocted an idea that would convince two aspiring businessmen to rent it. They weren’t prepared, they put everything into it, and they looked destined to fail. But that wasn’t to be the case. The idea worked. And through a combination of hard work, dedication and a little luck, the Carney’s pizza business was a hit. Within a year their beloved Pizza Hut had its first franchise and within 2 decades there were more than 4,000 locations across the United States. The Carney’s had fulfilled their dream. They had turned a small loan into a big business and they were able to profit from their success. In 1977 they sold the business to PepsiCo and moved onto other things. In later years, the brothers would dabble in other pizza restaurants and would also get involved with the banking industry. As for Pizza Hut, it continued to expand under its new ownership. It would change hands again in 1997, moving over to Yum Brands. But throughout that time the reach of this global brand continued to grow. Pizza Hut is owned by Yum Brands, Inc,. They also go by the name Yum! and used to be known as Tricon Global Restaurants. This is a parent company with many subsidiaries (of which Pizza Hut is one) and it is one of the largest companies of its type in the world. Yum Brands recorded sales in excess of $13 billion in 2015 and they boast locations in over 130 countries. There are over 42,000 restaurants that are linked to this company but fewer than 10,000 of those are actually owned by them outright. The majority of the rest of franchises. Pizza Hut is one of the biggest chains owned by this company, but they also own KFC and Taco Bell. Uniformity is important with chain restaurants and it’s something that Pizza Hut adheres to with their menu and, to an extent, their aesthetics. But this is one chain restaurant that likes to mix things up a bit and there are many different styles of Pizza Hut out there. First there is the original style, which follows a family-dining format. This is a kid-friendly location that offers big menus, a sit-down service and a lively atmosphere. There are take-out locations, where the majority of the building is occupied by the kitchen and the counter and customers are expected to eat out; hybrid locations, that are a mixture of take-out and eat-in; and buffet restaurants, where the emphasis is on a buffet service. But no matter how familiar you are with these locations and with Pizza Hut in general, if you were to visit a Pizza Hut in China, you probably wouldn’t recognize it. In China, Pizza Hut is a fine dining restaurant. You don’t eat with your hands here and there is no buffet. The menu is also a little different, catering more to eastern tastes and doing away with many western favorites. China is actually one of the biggest markets for Pizza Hut, proving that this model has been a success for them. There are around 2,000 restaurants in the country. Around 1850 of these opened in the decade between 2005 and 2015, when western influences really began to take hold. Pizza Hut has a huge menu, and one that changes with the season, the holiday and the location. There are pizzas, toppings and options that you can find in some countries, but not in others. There are drinks, sides and desserts available in many dine-in restaurants, but not in the take-out ones. This is a restaurant chain with more than 13,000 locations in countless countries around the world, so it only make sense to introduce some variety. And that’s exactly what they have done. As with many other big pizzas restaurants, Pizza Hut also lets you create your own pizza. In fact, this is a staple in many restaurants and it’s something that you will almost be expected to do. Simply put, you choose the size, the crust and the toppings, and they make it for you. You can choose to have as much or as little cheese as you want. You can choose to have a thin crust, a thick crust or a crust stuffed with cheese. And you can choose from a huge array of toppings as well, including a selection of vegetables, meats and even fruits. Popular toppings include pepperoni, mushroom and peppers, but you can also get everything from seasoned mince beef and cajun chicken, to mini-cheeseburgers. They do, and this is actually how they make a lot of their money in certain locations. You can phone them up or place an order online, or you can do it in store. It all depends on where your nearest Pizza Hut location is. Your country will also make a big difference, as some countries, like the US, offer more or less nationwide delivery, whereas others, like the UK, only seem to offer take-out services. What is Pizza Hut’s Number? Each Pizza Hut location has its own number. There is no central office to phone that can arrange a delivery for you. So, just find out where your local restaurant is and then search for the number. If you call them then you can enquire about menu specials, special dietary requirements, bookings and pizza delivery. The Pizza Hut secret menu is extensive, to say the least. After all, this is one of the biggest pizza and American-Italian menus around. And when you add the preferences of take-out and dine-in options, as well as the extra variety offered by lunch menus, happy-hour menus and holiday menus, it becomes endless. 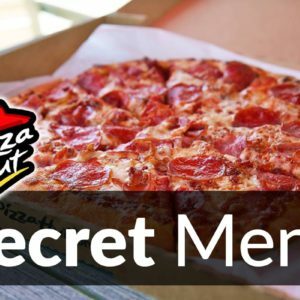 Pizza Hut secret menu items have included everything from a crust that is stuffed with a hot dog, to toppings of coconut shrimp. If that doesn’t excite your appetite (or at the very least, your interest) then nothing will. Like many modern chains, Pizza Hut pay attention to the levels of fat, salt and sugar that their food contains. They have to, because they get a lot of flak if they do not. In 2007 in the UK, they were criticized for their high salt levels and forced to change their ways by the Food Standards Agency. Similar calls have been made by other groups, and Pizza Hut have generally done all they can to move with the times. Pizza is pizza, and you can’t expect bread and cheese to be very good for you. But there are healthier options on the menu. And if you want to stick with a pizza but don’t want to pile on the pounds, there are also some less-fattening pizzas available. For a Skinny Slice of their Cheese Pizza, the damage is only 210 calories. Whereas you’ll be looking at close to 450 for some of their topping-laden, stuffed-crust varieties. To learn more about Pizza Hut nutrition, read our guide on the subject. Pizza Hut menu prices are respectable, and you can generally feed all of the family for less than $30. It all depends on what you order, when you visit and where you live, of course. If you opt for one of their buffet services or meal specials, you can get even more for even less. If you want a more intimate and relaxed experience, complete with drinks, sides and dessert, then you might have to fork out a little more. How to Get Free Food From Pizza Hut? It is very difficult to get free food. Pizza Hut coupons exist, but they tend to be invalid or that have expired. The best way to get freebies and discounts is to wait for days like National Pizza Day to roll around. The biggest chains are in direct competition during these days and this is one of the biggest and the best. If you’re in the United States, the United Kingdom or even China, you are never too far away from a Pizza Hut restaurant. Those restaurants may look a little different, but the famous logo, the extensive menu and the impeccable service is pretty similar. There are thousands of locations in the United States and China, hundreds of locations in the United Kingdom, and dozens more in countries around the world. Some of the more surprising locations where you can find Pizza Huts include Bahrain, El Salvador, Lebanon, Gibraltar, Mauritius and Sri Lanka. Pizza Hut is typically open from morning until night. It opens in time for the lunch rush and stays open throughout the day. The only meal it does not serve is breakfast. 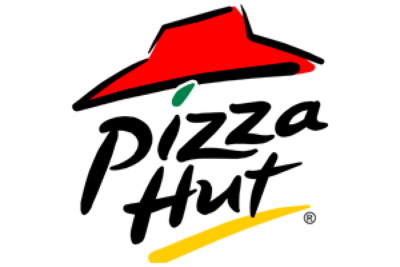 Pizza Hut store hours differ depending on the location, but most restaurants open all day and every day and remain open from around 10:00am to 11:00pm. These times may be reduced during holidays and there are some holidays in which Pizza Hut doesn’t open at all. In most cases Pizza Hut will open at 10:00am. This applies to most days and to most locations, but there are some exceptions. These include Sundays and holidays. It tends to stay open until 11:00pm, as mentioned above. Again though, it depends on the day and the location. Is Pizza Hut Open on Thanksgiving? In our experience many locations are open on this day. However, that may not apply to all of them. To discover if it is open on the next Thanksgiving, just check with our page on Which Restaurants Are Open on US Holidays. Is Pizza Hut Open on Easter? As above, most of them tend to be but you should check with the linked page to determine if that remains the case during the next Easter holiday.